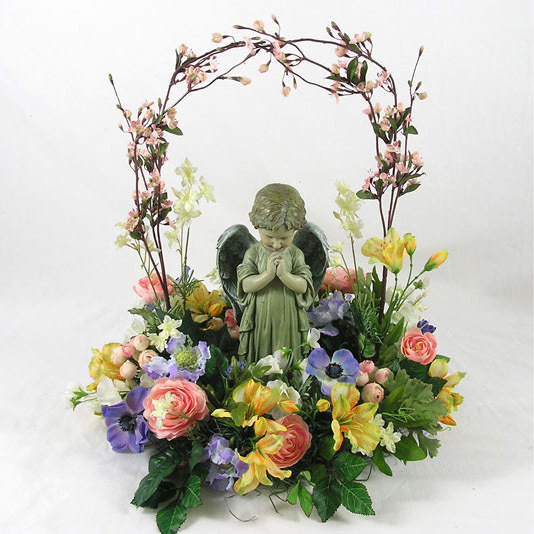 SW-172 Our table wreath of spring silk flowers features a praying angel. 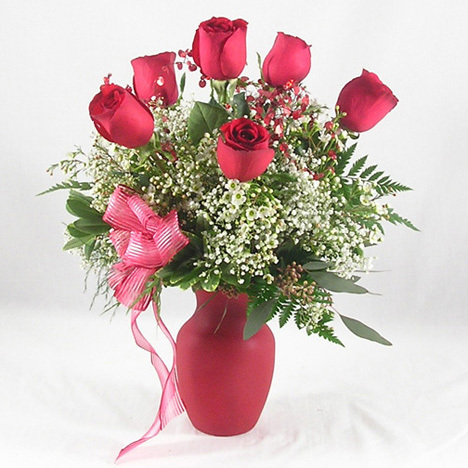 This token of your sympathy can be sent to the service or the home. It is a lasting gift to cherished for years to come. 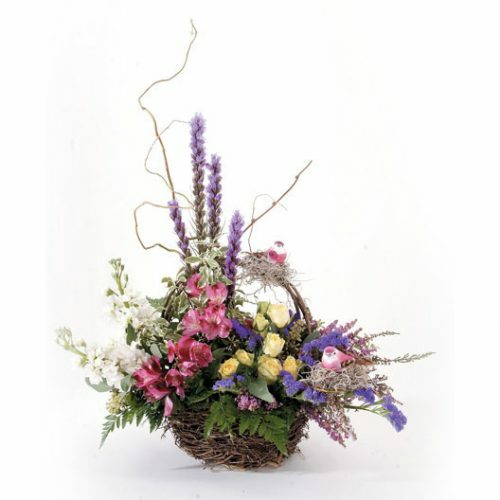 Our table wreath of spring silk flowers features a praying angel. 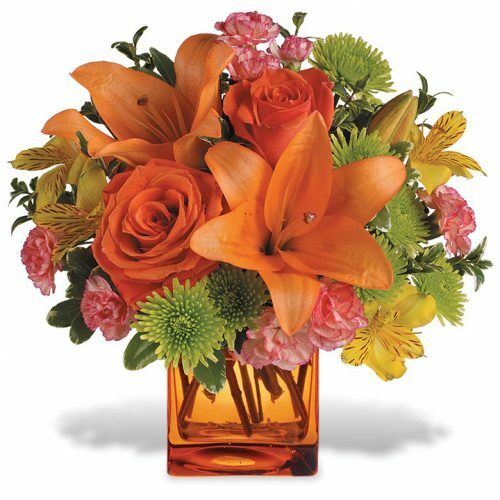 This token of your sympathy can be sent to the service or the home. It is a lasting gift to cherished for years to come.